The Dropkick Murphys were involved in a tragic accident last night in Texas after a man allegedly jumped in front of their tour bus. The victim was struck and killed, and police have suspected it was a suicide. As a result, the Dropkicks have cancelled their show tonight at Cain’s Ballroom in Tulsa, Oklahoma. According to a post on the Dropkick Murphys Facebook page, the band was headed to Dallas/Fort Worth International Airport after a show in San Antonio Saturday night when a pedestrian ran into the road and was hit by their bus. The band was en route to the airport between gigs so vocalist Al Barr could fly home to Boston to attend the funeral of a close friend. The group was north of Austin at the time of the accident. Vanyaland has learned that the victim was walking along the center of the highway, then jumped out in front of the tour bus as it swerved to avoid him. Police told the band that that strip of road is a notorious suicide spot. After last nights San Antonio show we were en route to the Dallas airport to drop off Al and then continue on to Tulsa (as we mentioned yesterday Al is flying home for the funeral of a life long friend). Sadly however, just north of Austin we were involved in a tragic and fatal accident when a pedestrian suddenly ran onto the road in front of our tour bus. Police suspect a suicide. All tickets purchased via phone or Internet will be automatically refunded. Those who bought tickets in-person can return to the Cain box office during business hours for a refund. 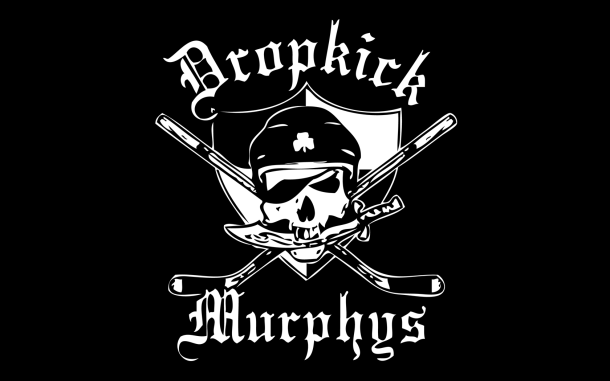 The next date on the Dropkick Murphys’ current tour is November 19 in Mexico City, Mexico.